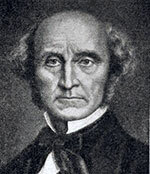 John Stuart Mill (1806 - 1873), was a leading political philosopher of the Nineteenth Century. He held radical views for the time, advocating universal suffrage and equality for women. He was also a Utilitarian philosopher, a philosophy which seeks to maximise the greatest happiness for the greatest number. Mill refined the original Utilitarianism of Jeremy Bentham. J.S Mill is perhaps best remembered for his short exposition of the theory of individual liberty and the right to freedom of speech. In ‘On Liberty’ J.S. Mill argued that individual freedom could only be constrained by the state if his actions harmed the liberty of others. John Stuart Mill was born in London, May 20th, 1806. His father James Mill was a Scottish philosopher and Economist, who moved in important intellectual circles. The young Mill was educated by his father and Jeremy Bentham – the leading exponent of Utilitarian philosophy. His father hoped that John would become a leading intellect to advance the course of Utilitarianism, and the precious John exceeded his father’s hopes and expectations. By the age of eight, he was making strides to becoming fluent in Latin and Greek and becoming very widely read. He also became schooled in the most important economic ideas of the time, such as David Ricardo and Adam Smith. However, his intense study contributed to a nervous breakdown when he was 20. Mill stated that this breakdown was related to the physical and mental intensity of his studying, which denied an opportunity for few other pursuits. However, after this breakdown, his interests widened, he came to love the poetry of Wordsworth and travelling in the mountains. In 1830, he met Harriet Taylor, who became a life-long friend and companion. When they first met, Harriet was married to John Taylor. But, despite her marriage, the couple became close and spent much time together. Despite maintaining a chaste relationship, the close friendship scandalised Victorian society and because of this, they were partly excluded from some social circles. The friendship with Taylor was built on a strong intellectual sympathy. They shared similar ideas and Mill treated Taylor as intellectual equal. Mill had a strong belief that women should be treated equally and should be given the vote. This was a very radical position for the first part of the Nineteenth Century. Mill credited Harriet with influencing many of his works, such as ‘On Liberty’. Some works, such as the ‘Subjection of Women’ (1869) were mainly written by Taylor, but Mill’s name was put on it. In 1851, after the death of John Taylor, the couple married but unfortunately, after the marriage, Harriet developed Tuberculosis and she died after only seven years of marriage. After Harriet’s death in 1858, her daughter Helen gave up a career as an actress to be Mill’s secretary and personal assistant. The two worked well together. Mill became well known as a writer, producing many important philosophical and political works. He founded the London Review in 1834 and two years later bought the Westminster Review – merging the two into an influential London magazine. He also a writer for Harper’s magazine and the Fortnightly Review. Despite his radical views he was invited to stand as an independent candidate for Westminster in 1865. He was elected; helped by his strong reputation for being independent and thoughtful. At the time, The Times commented that many of his electors were unlikely to agree with his radical policies, but were willing to elect him for his personal qualities. As the elected member for Westminster, he was the first MP to introduce a bill calling for women to be given the vote. Though he was defeated, he strongly defended his position and it was an important milestone for the suffragist campaign. Mill also called for the extension of the vote to all adults and the introduction of proportional representation. Mill sought to offer help for Ireland. Mill was also an opponent of slavery and spoke against colonialism in the West Indies. These views contributed to him losing the election in 1868. Although Mill was associated with the Liberal party, he was more radical than Liberal MPs. Mill wrote several treatises on the subject of women, such as ‘The Subjection of Women’ (1861) Mill eloquently wrote how the oppression of women was based on a set of prejudices which were severely impeding humanity. Although Mill was brought up in the Utilitarian school of Jeremy Bentham, Mill sought to refine the philosophy. Mill rejected a crude push-pin quantity of pleasure. Mill sought to distinguish between higher and lower forms of happiness. He also tempered Utilitarianism with an appeal to the importance of liberty of the individual. To Mill, he saw utility as humanity growing into a more progressive being. Mill did not enter Oxford or Cambridge because he did not subscribe to the 39 articles of the Church of England which were compulsory for students in those days. He described himself as an atheist and was critical of dogmatic views in general. However, he admired part of the ethics of Christianity. He noted that Christianity may have been very different if it had been adopted by the Roman Emperor, Marcus Aureolas rather than Constantine. “In the golden rule of Jesus of Nazareth, we read the complete spirit of the ethics of utility. To do as one would be done by, and to love one’s neighbour as oneself, constitute the ideal perfection of utilitarian morality. Perhaps Mill’s most important work. 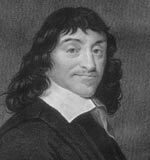 He set out limits to state intervention in the rights of man. Mill was also an influential economist. His book ‘Principles’ was a leading textbook until after the First World War. Initially, he largely supported the free market view of Adam Smith. However, he was influenced by utilitarian socialist philosophy and he began to support more Socialist ideas, such as abolishing the wage system and replacing with a co-operative wage system. John Stuart Mill died in Avignon, France on 8th May 1873.